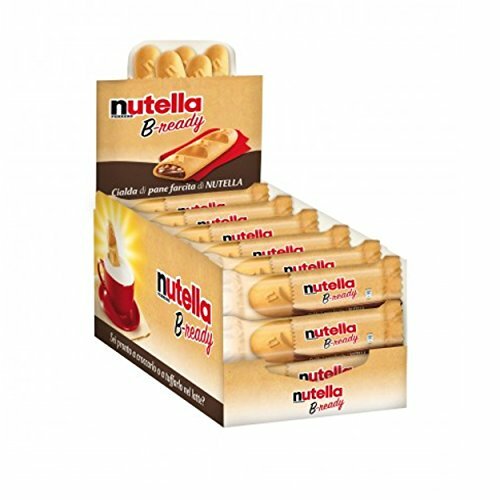 Nutella B-ready Wafer filled with Nutella, (2x22g) 44 g. Pack A crisp wafer of bread in the form of mini - baguette stuffed with a creamy Nutella. Original creamy spread, made with Skim Milk and Hazelnut. No artificial colors, no artificial preservatives . Product of Italy.